Procurement continues to be a hugely contentious issue for civil engineering contractors. Public sector procurement processes represent the gateway between public and private sectors but the process is, so often, bureaucratic, costly and time consuming. Streamlining the process of bidding for work, making it more efficient and effective, has been a key priority for CECA Wales. We work with major construction clients including Welsh Government, local government, Dwr Cymru and Network Rail to ensure that bidding costs for contractors are minimised whilst maximising value for money for clients. 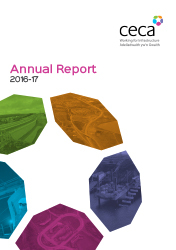 CECA produced a report in 2016 on procurement, called “Directions in policy for the UK infrastructure industry”, based on responses from members, which has made a series of recommendations for improvement. 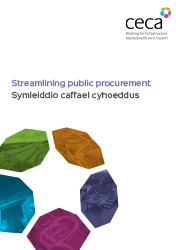 CECA Wales, in partnership with the Association of Consulting Engineers (ACE) in Wales and the County Surveyors Society Wales followed this up with their own Wales specific report titled “Streamlining Public Procurement”. This report forms the basis of ongoing discussions with major construction clients.